Persie Gin - Do you nose you gin? Do you nose your gin….? Well, the guys at Persie gin think its a must! Persie gin is the brainchild of Simon Fairclough, who back in 2014 started running gin tasting groups. He toured through Scotland, and other parts of the UK, teaming up with distillers, pubs, hotels and restaurants. His mission? To help thousands of gin-lovers in their quest to find the perfect snifter! Travelling up and down the country with a carload of over 150 gins, Simon quickly started to realise that the most popular gins had one vital thing in common. They all had a perfect interplay of aroma and taste. So Simon had a crack at making his own gin. The result is Persie Gin: three distinct styles of aromatic gin created and distilled in the former Persie Hotel at the foot of Glenshee in Perthshire. Hand-made in small batches in a bespoke, 230-litre copper pot still, the gin is distilled with pure glen water from hills local to the distillery. Each gin uses carefully chosen botanicals to evoke an emotive and comforting scent: sharp citrus for the fruity gin; fresh herbs for the savoury gin; and almonds and vanilla pods for the sweet gin. As you would expect, on the nose this is fresh and full of citrus.There are some lovely piney notes that pop up to say hello as well. The nose isn’t shy which is to be expected for a gin that focuses on scent. Tasted neat and you get more of the same – big citrus flavours with slight hints of juniper bringing up the rear. This relaxed juniper backbone and full citrus body is quite a step away from traditional gin which may see some purists run cold but we quite like it. The vividness of the lime and the orange is a real credit to the Simons’ skill with the still. It matches up perfectly with tonic, creating a slightly sweet drink with that ever familiar citrus burst. Garnishing with mint, as per their recommendation, really works. The mint giving you a little more zing on your palate and complementing the nose perfectly. Scents of Rosemary, basil and bay hit the nose at first with a subtle spice – perhaps from black pepper. There is also a slight saltiness to the nose and an almost creamy freshness. The palate is dominated by the basil and the salt I picked upon the nose. There are hints of olive all too, not only in the taste but also the mouthfeel. Its got a lovely warming profile – it’s like receiving a big hug. There is also a pleasing spice that dances across the tongue. Again, juniper is relaxed but it does pop its head up at the finish and lingers long after the other flavours have died away. With tonic, those herbal flavours are enhanced further. We garnished with a few basil leaves but rosemary or bay leaves would work equally as well. On the website, they suggest using it as the base of a Bloody Mary. This gin with its basil, rosemary and olive oil flavour profile would be the perfect match for tomato juice! This really is an interesting one! The nose really is sweet and nutty – a bit like opening a jar of Nutella and giving it a good old sniff! There is also a hint of vanilla and hints of sweet biscuits… malt or something similar. The nut and vanilla are quite prevalent when tasted neat and is joined by a nice hint from the ginger. Once again, the juniper is there, but only very slightly. The flavour of the nut, which for us tastes like hazelnut nut, lasts long after you have taken a sip. As does the vanilla reminding us even more of Nutella spread. We decided to mix this one with ginger ale as we thought the flavours would work better. The sweet vanilla and nuttiness are really complimented in a ginger ale. It makes a flavour all of its own…sweet, fiery, nutty and delicious. We also need to give a nod to Bancon Homes gin. This gin has been made by Persie for Bancon Homes and it is given as a gift when purchasing a new house. It’s quite dissimilar to the three spirits above – the flavour is more classic gin. The palate is warming with delicate spice and the juniper is there too. This is a well-balanced spirit that when mixed with tonic creates a good tasting G&T. We have been really impressed with these spirits – each of them brings a different thing to the table. Simon has done an excellent job at creating gins that can appeal to pretty much every palate. We are also really impressed with the amount of flavour is packed into each gin. In our opinion, they are all tasty enough and smooth enough to be enjoyed neat over ice. 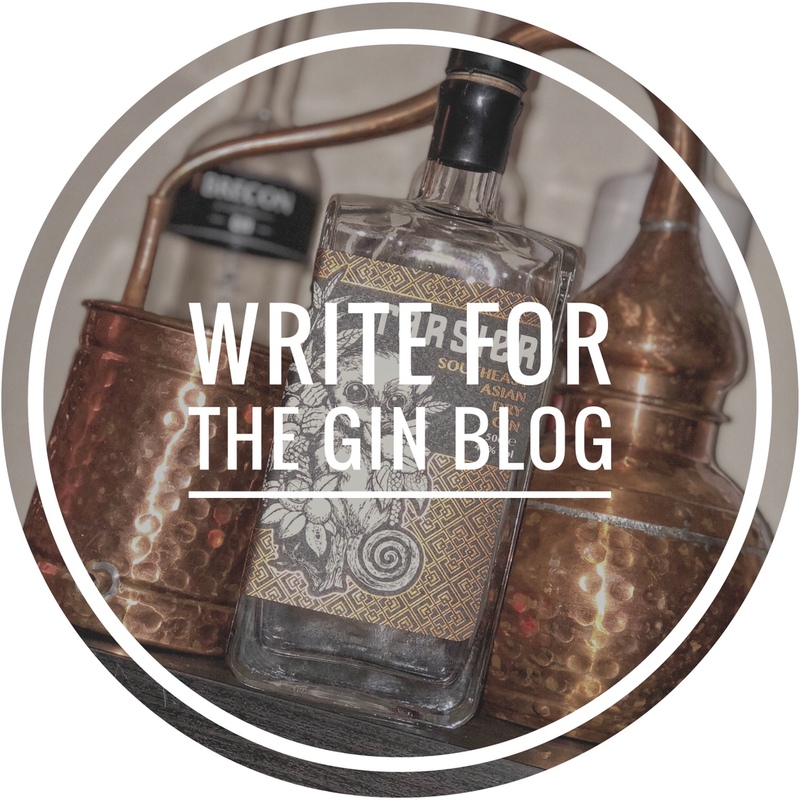 Home > Reviews > Gin Reviews > Gins > Do you nose your gin?